In times where global matters such as the climate, currencies and places of residence become increasingly volatile, the urban public space we live in is an area where power, identity and belonging are negotiated. Cities have always been melting pots of history, society, art and politics, which is why the way a city is shaped tells us a lot about the people who live in it. 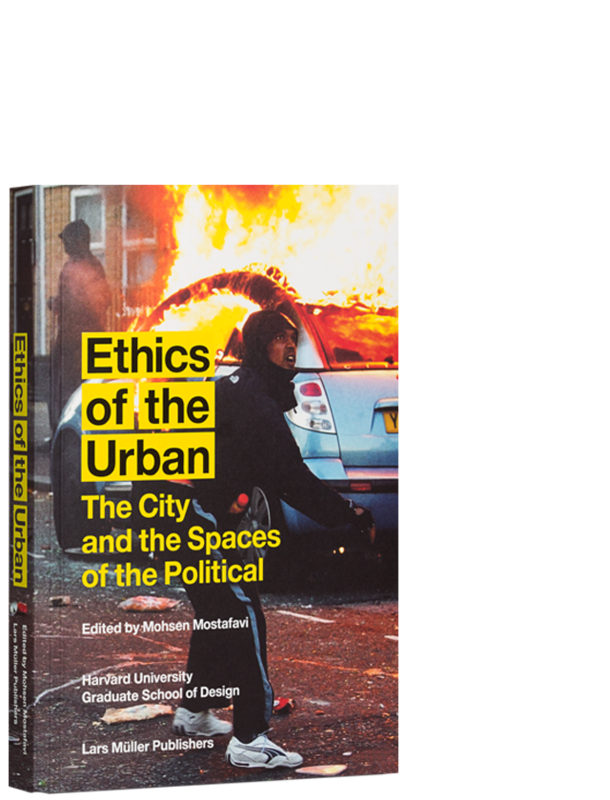 With contributors from a variety of fields, Ethics of the Urban discusses these urban spaces of the political. "How do we move about the city? ", "How does memory of the past inspire the future of cities?" and "What makes a city a home?" are only some of the many questions that Ethics of the Urban addresses. The publication gathers experts from history, sociology, art, political theory, planning, law and design to emphasize the complexity of the meaning that urban space has today. Urban spaces are on one hand political spaces, since buildings, streets and people moving around all mirror political decisions in one way or another. On the other hand, the urban space is also a designed space, conceptualized, planned and sometimes gentrified. Complimented by stunning photography, Ethics of the Urban is a vibrant intellectual journey straight into the bone marrow of every contemporary city around the globe.